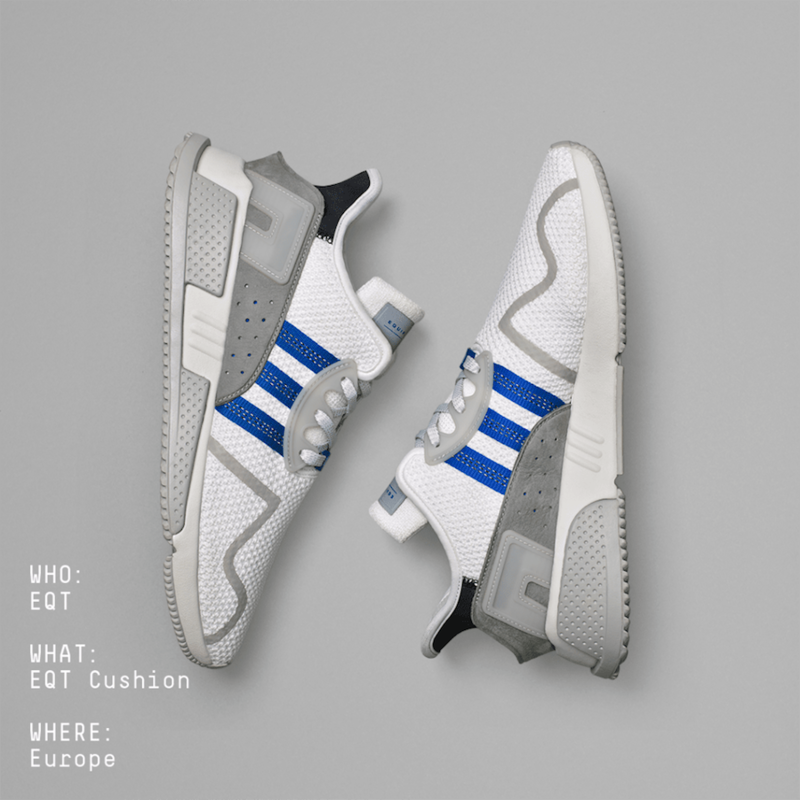 adidas Originals has officially announced that their newest adidas EQT Cushion ADV silhouette will be debuting in August as an exclusive regional release. Following a look at the “Black Friday” release, the Three Stripes designed special edition pairs that will be available in North America (Green), Asia (Red), and Europe (Blue). The new model comes constructed with a mix of elements from the EQT Classic and EQT Running Cushion ’93. Look for the adidas EQT Cushion ADV Regional Pack to release to their exclusive region on Saturday, August 12th online and at select adidas Originals retailers worldwide.